Maximize Your Rent Revenue, Protect Your Investment. 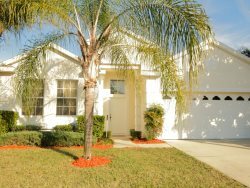 We do the property management work, and with over 15 years Orlando vacation rentals experience, we have many repeat customers, year after year. You own a house or condo in the Orlando area. Perhaps it's an investment property or maybe you once lived in the home. Either way, now you need to get it rented...and fast! That is what we do best. Our aggressive marketing program gives us one of the highest occupancy rates in the industry. In addition, we offer a full range of property management services from helping you to select and purchase (both new and used homes,) furnishing, management, and rentals. If you like, we’ll even train you how to take your own bookings. Whether you are looking for a solid long term investment opportunity with great tax advantages or you are primarily interested in having a home to vacation in several times a year, or both- put your vacation home in capable hands, and let us take care of you! For more information about our vacation home property management programs, please call Lance Boyer at 407.396.2233. We financially reward Realtors that send business our way. At Florida Dream Homes, we know that Realtor partnerships are essential to our mutual success. That is why we protect your client lead by referring your client back to you when they decide to buy or sell. Realtors are our natural partners, since our sole focus is Orlando vacation property management and we do not list or sell properties. Realtors who place their clients in our care find that working with us is a win-win partnership. Please remember us when your next client wants to avoid the hassles of property management and maximize their rental income.